Two piece lined swag. 100"wide x 30"long plus 2" header. 3" rod pocket. Recommended for windows measuring 36" - 54" wide. 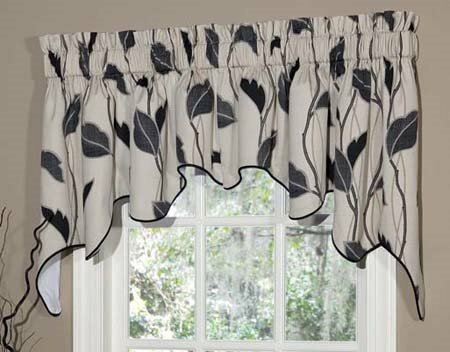 For wider windows, add Yvette Eclipse Empress Filler Valances (sold separately). By Thomasville Home Furnishings. Print on 66% Polyester / 34% Cotton. Dry clean recommended. Manufacturer UPC is 013864106764.